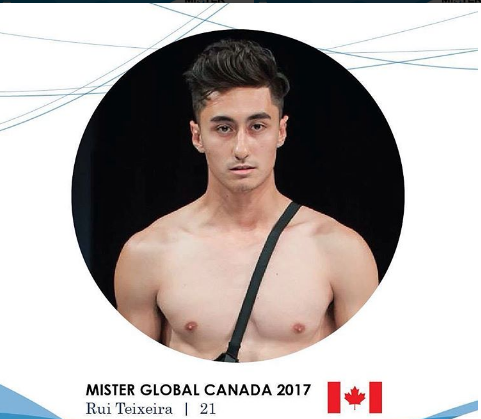 Rui Teixeira is Mister Global Canada 2017. Rui is 21 years old and is currently working in business tour in California, USA and his hometown in Canada. He loves driving and fast cars and so it is not a surprise that he is also a car racing driver. When he is not driving or working, he models.